Spending Thanksgiving on the Olympic Peninsula with family or friends? Be sure to bring some Washington State wine to the table. Olympic Peninsula wineries offer a surprising variety of wines, one of which is sure to complement your Thanksgiving meal. Drink wine on the Olympic Peninsula over Thanksgiving weekend. Once the feast has been consumed and the table cleared, you may find yourself wondering what to do. Wine tasting is a terrific activity at this time of year, when the weather can be blustery even in the Olympic Rain Shadow. It’s especially fun to go wine tasting with a group of friends and/or family. Try the same wine and enjoy discussing its nose and legs, or try different wines and steal sips. You can find wines to drink with Thanksgiving left-overs, and wines to store until Christmas and New Years. Why not pick up a few bottles of Washington State wine to offer as holiday gifts while you’re at it? 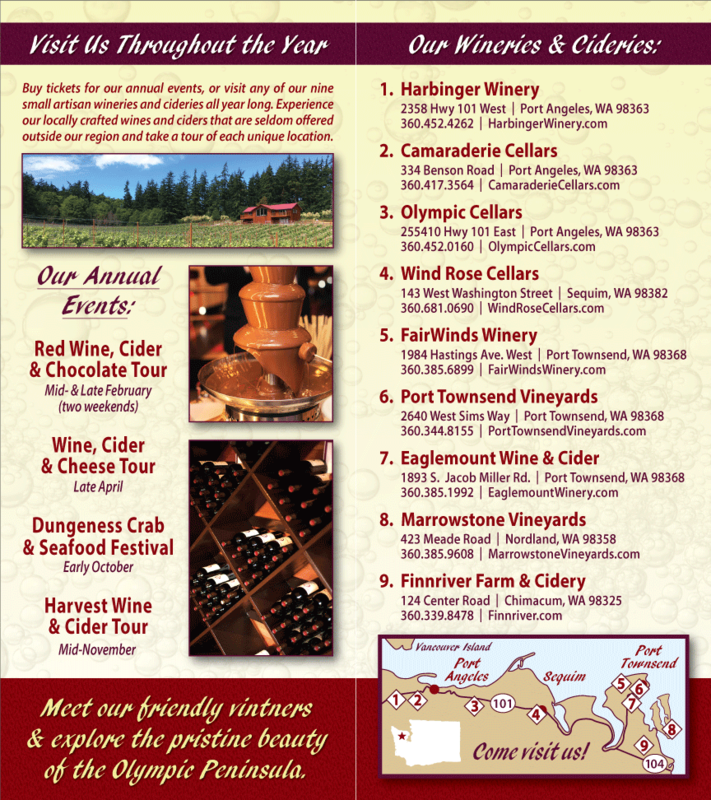 Consider touring all the Olympic Peninsula wineries over the weekend. Visit Washington State wineries and cideries near Port Townsend on one day, and in Port Angeles and Sequim on another day. Stop for a leisurely lunch while you’re out and about, after all, the holiday season is here, and it’s time to celebrate.